George Jackson University has goals a plenty. 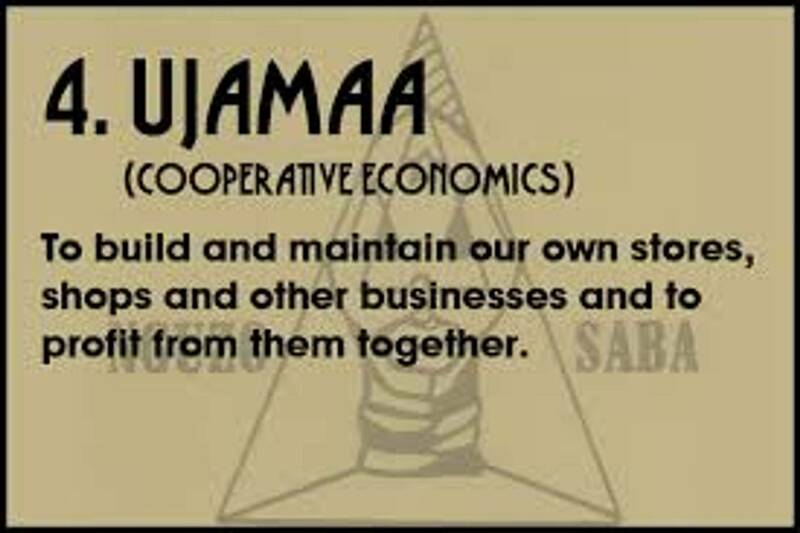 One of those many goals is to create UJAAMA. We need to and we must support one another in our business and economic ventures. We know and understand that complete liberation of African people is not achievable if we cannot sustain our livelihood. We must be able to take care of ourselves and one another and create realities where we don’t have to be in servitude of the major corporations you find here in North America and Europe that have contributed to our enslavement and also maintains our servitude through wage-slave labor. We can create and achieve economic independence when we support one another and share services and goods with one another. We must do this. One way we seek to do this is through George Jackson University radio show and on our website. We want to help promote and grow the business that you currently possess or venturing into. We want to help share your resources, products, and goods with the people that we have come to know. Also, the stronger you become, the better off you will be in being able to help support the efforts of George Jackson University. We want to be able to create jobs for our GJU recipients, those who have exited out of the prison industrial complex. When they get out of these places, we want to have jobs for them. They can come and work inside of your business and institution, so we need for you to be fruitful, so we can create jobs. The more you grow the more we have to offer. We will rid ourselves of capitalist interest, but in turn we will adopt business that serve our communities with a more socialist interest, an interest that is not a motive to capitalize and exploit one another, but one that is utilize to nurture and grow. We are also currently trying to raise monies for George Jackson University and one way we can do so is by providing you with a commercial spot on our weekly broadcast on www.blogtalkradio.com/george jacksonradio and advertise on our website. We only ask for your contribution of five dollars a month for broadcast and five dollars a month for web presence. You can choose either or, or you can choose both. We sincerely think that this initiative will be beneficial to your business, GJU, and the people. Please fill out the form below to participate. Thank you so much for your time and your efforts. Thanks for being a part of the GJU Family.